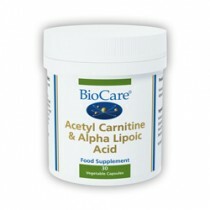 A multi vitamin and mineral designed to supplement the average British diet. Why have we designed the British Multi? 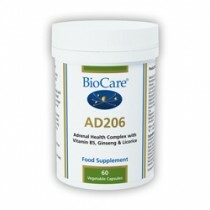 Most multi vitamin and mineral formulae are designed and developed in America, or based on American nutritional research and are therefore often designed to supplement the needs of the American consumer. 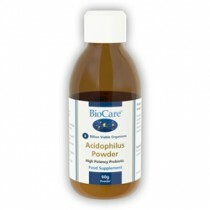 We feel that many of the multi vitamin and mineral formulae offered on the UK mass market are made from relatively cheap, poorly absorbed ingredients and often only deliver the RDA levels, not optimal levels. This can often make the product seem better value for money than the higher absorption, organic forms like Citrizorb® minerals. Nutrigold British Multii is in a class of its own as it is one of the only formulae we know of that has been designed based on what we consider to be the optimal supplementary needs of the British diet using only the highest quality, bioactive raw materials. Why do we need to take a multi vitamin and mineral supplement? Many of us feel that a multi vitamin and mineral should deliver “everything”, meaning all vitamins and minerals known to be important to health. However, it is true to say that you can obtain intakes that most orthodox nutritionalist would consider “adequate” from the average British diet. Lets for a moment assume that you eat fish and chips, white bread, British sausages, fish fingers, baked beans, instant mash, tea, coffee and the odd bar of chocolate with the occasional cooked breakfast for good measure! However, the saving grace in this example is that you also consume a dinner of meat and two or three vegetables. Our research shows this listing is not untypical for the average British diet. Having access to this information has allowed us to work out the average nutritional values of this typical diet. 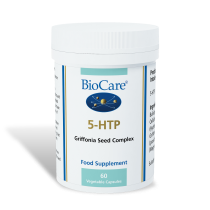 This has enabled us to formulate what we consider to be the most important nutrients needed to supplement the typical British diet, while leaving out the nutrients we feel you obtain enough of or which we consider are not so important to supplement. 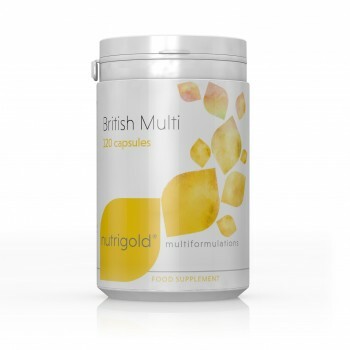 Nutrigold British Multi has been designed to offer nutritional support to the whole family, however those who may gain most from this product are the elderly, people who drink a little more than they should or those who do not eat enough greens. Published figures indicate that, for example, British women consume only 87% of the daily magnesium recommended by the Government's expert Committee (270mg/day, referred to as the RNI). The UK Committee is given to making quite low estimates of these requirements. The corresponding USA figure is higher and British women only average 67% of the USA recommendation. Given that something like half the population is likely to be below average, one may conclude that there is quite a considerable risk of receiving much less than the RNI. Furthermore the RNI levels are often set much lower than the levels we would consider to be a good optimal level. We have repeated these calculations with many other nutrients we consider important, where needed these have been included at levels that are often many times higher than the RDA or RNI levels, however, neither of these have anything to do with the USL (upper safety levels). Why is there no calcium in the British -Multi? Although we recognise the important role that calcium plays in our bodies, we have decided not to include calcium in Nutrigold British Multi as on average the British diet contains more than sufficient levels of calcium, in excess of 1000mg daily, with a Government RDA level of 800mg.